As someone who spent most of college learning Greek and Latin and reading poems written in them, I am glad to see when people look to the classics for models of leadership and leadership training. In this piece, published in the Atlantic, a classics professor speaks about the original model for mentoring, found in the Odyssey when the goddess Athena helps the young warrior prince Telemachus survive a sticky situation. (She also counseled a number of other heroes throughout her career, including Telemachus’s father, Odysseus.) 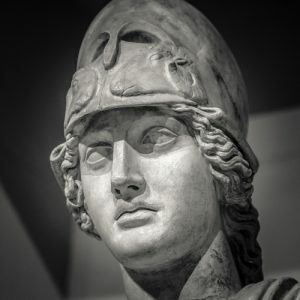 Athena was many things to the Greeks: here she shows her strategic expertise and helps forge “disconnected intellectually, morally, and emotionally” connections for him so that he can succeed. It good to see that the basic model hasn’t changed in 3500 years!